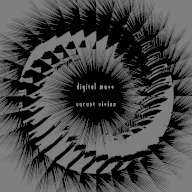 Anonymous polish droners Digital Mass are back on eg0cide with a new mysterious offering. They told us that “vacant vision” was inspired by antic shamanic rituals that used to take place in the core of the Bialowieza forest. They might be mystical freaks, they might be ironic impostors – nevermind. Just close your eyes and let the glowing sound grow and erase you from the inside.